CommanderVideo returns home in this six-game compilation. Ask a random Nintendo fan to name his or her top ten WiiWare games, and you can bet that Gaijin Games' Bit.Trip series will make the list. The developer first broke onto the scene in 2009 with Bit.Trip Beat, and just wrapped up the six part series this past February with Bit.Trip Flux. You can download all of these games to your Wii, or wait until Aksys Games publishes Bit.Trip Saga, the full six game compilation coming soon to Nintendo's 3DS. Each title will incorporate glasses free 3D and possibly make use of the 3DS gyroscope, though it remains to be seen how Gaijin will adapt these critically acclaimed hits for the portable system. One thing's for certain: you're in for quite a ride. Every game in the Bit.Trip series stars franchise character CommanderVideo, who evolves over time. Beyond that, each title plays differently, pulling you in with cool (more like hypnotic) retro graphics and fast-paced action. 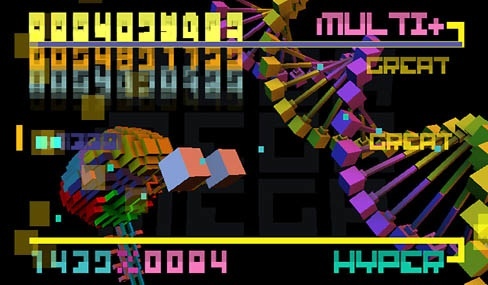 First up is Bit.Trip Beat, which borrows elements from the arcade classic, Pong. Armed with a paddle, located on the left side of the screen, the goal is to deflect "beats" as they move in that direction. Do this successfully, and you'll enhance the music and upgrade the paddle. This was followed by Bit.Trip Core, which puts you in control of a ship. 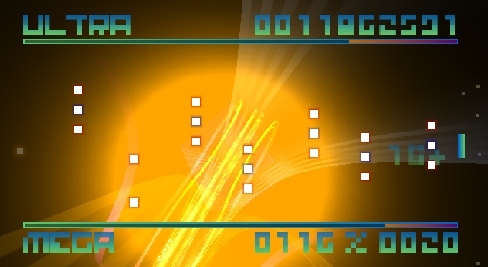 By moving its crosshairs around the screen, you can blow up beats with lasers, modifying the soundtrack in the process. 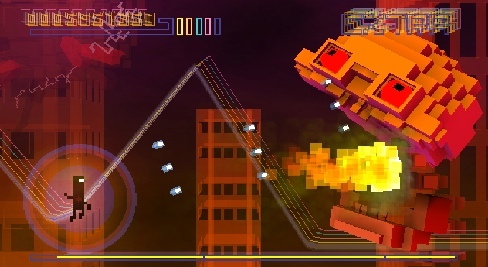 Next is Bit.Trip Void, best described as a bullet hell shooter. 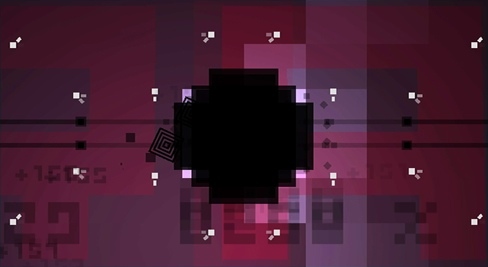 You guide a spherical shaped black void around the screen, absorbing black squares while avoiding white ones. The longer you do this, the bigger the void becomes and the higher your combo meter rises. Hit a white square, and the void returns to normal size. Bit.Trip Runner, meanwhile, tests your platform skills. With each level, the goal is to safely get CommanderVideo from point A to point B, similar to any 2D platformer, but there's a twist. You cannot prevent the good Commander from pushing forward. All you can do is jump and slide. Fail (by falling into a pit or getting hit by something), and you restart from the beginning of the stage. Bit.Trip Fate, on the other hand, is a side-scrolling shooter with a catch. 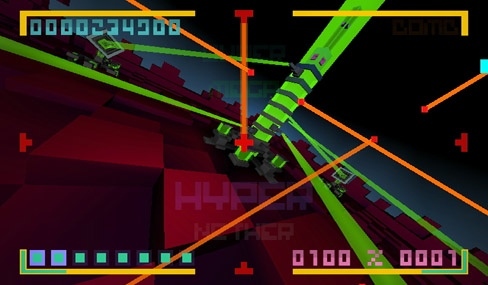 The developers attached CommanderVideo to a visible line that rises and falls, forcing you to master those peaks and valleys to dodge enemies while returning fire. Finally, we have Bit.Trip Flux. In a way, it brings the series full circle, as Flux plays similar to Bit.Trip Beat with a few key differences. Now, instead of controlling a paddle on the left side of the screen, it's on the right. 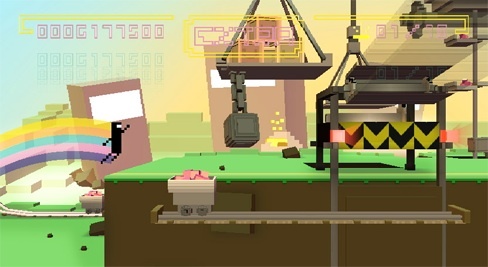 You can also restart from a previous checkpoint, and up to four people can play. We missed out on some of these games, so having them all on one cart means we have no excuse. Most importantly, it gives Gaijin Games the chance to share its trippy creations with a new audience. We'll have more on Bit.Trip Saga in the coming months.